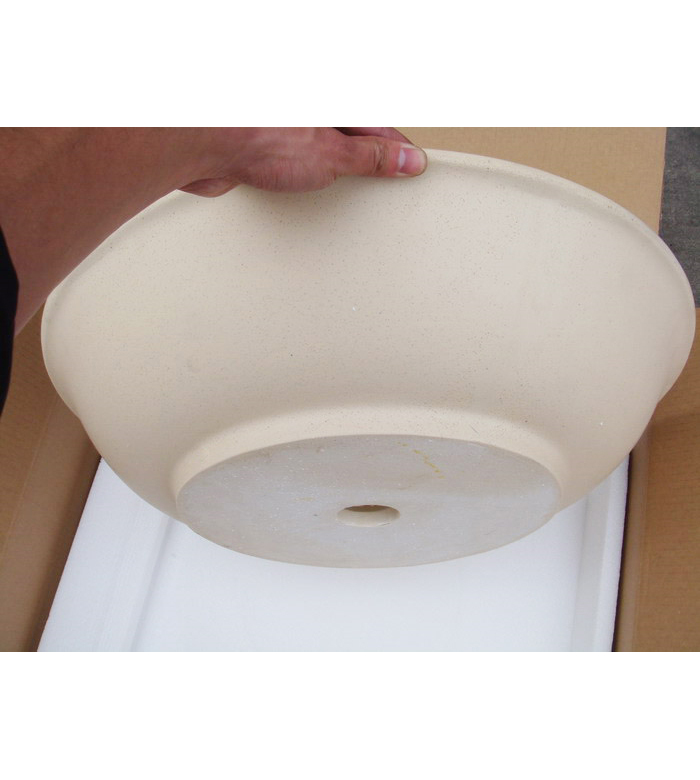 Sand tan resin vessel sink (CH0425), BathImports 70% off Vessels, Vanities, Shower Panels. As vessel sinks evolve each generation gets more durable and requires less maintenance. The latest trend and innovation are resin vessel sinks.For a sophisticated, contemporary look without the cost, this vessel has the attributes of a higher priced piece. 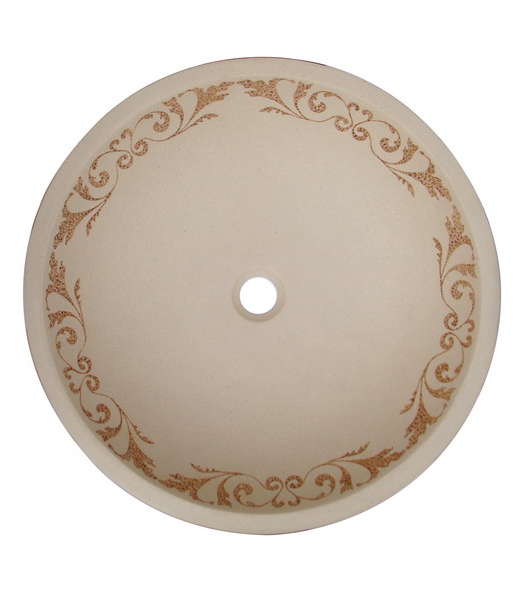 This piece will bring a dramatic focal point to any bathroom. Diameter from outside rim: 20.5". 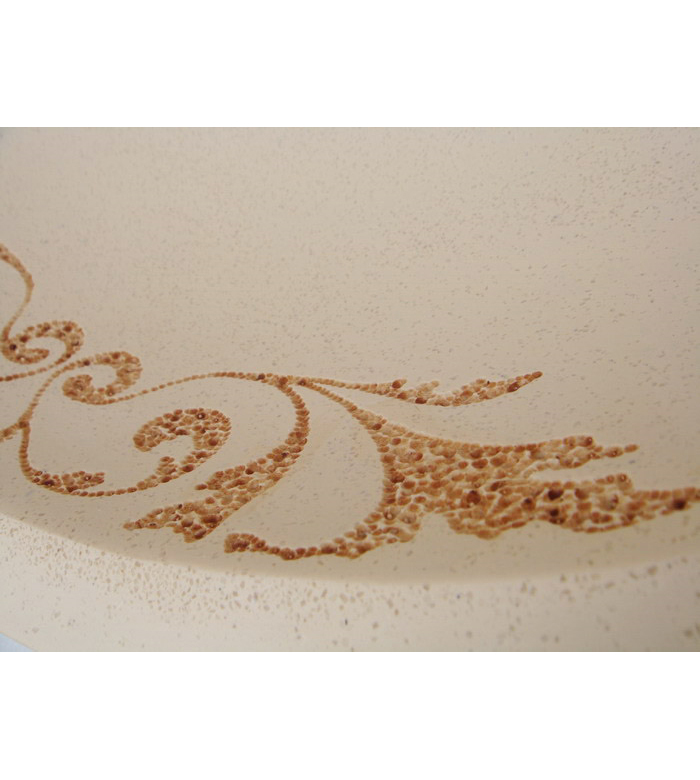 Material: Resin (durable and less maintenance).